Fire Station is located at 319 N. Lake St. 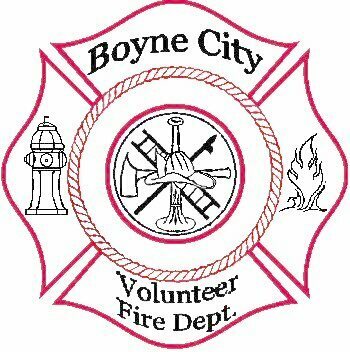 In addition to areas within the City limits, the fire department also services Bay Township, Evangeline Township, and portions of Wilson and Eveline Township. The townships contract with the City of Boyne City to provide service to the residents of these townships. BCFD serves the area with a water pumper truck, ladder trucks, its aerial truck which can reach structures over 40' in height and approximately 22 professionally trained and experienced firemen.